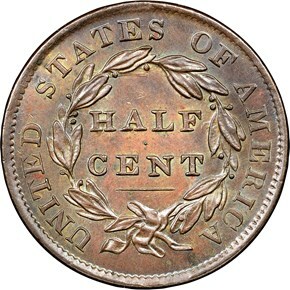 A single obverse die was paired with two reverse dies to produce the half cents dated 1835. 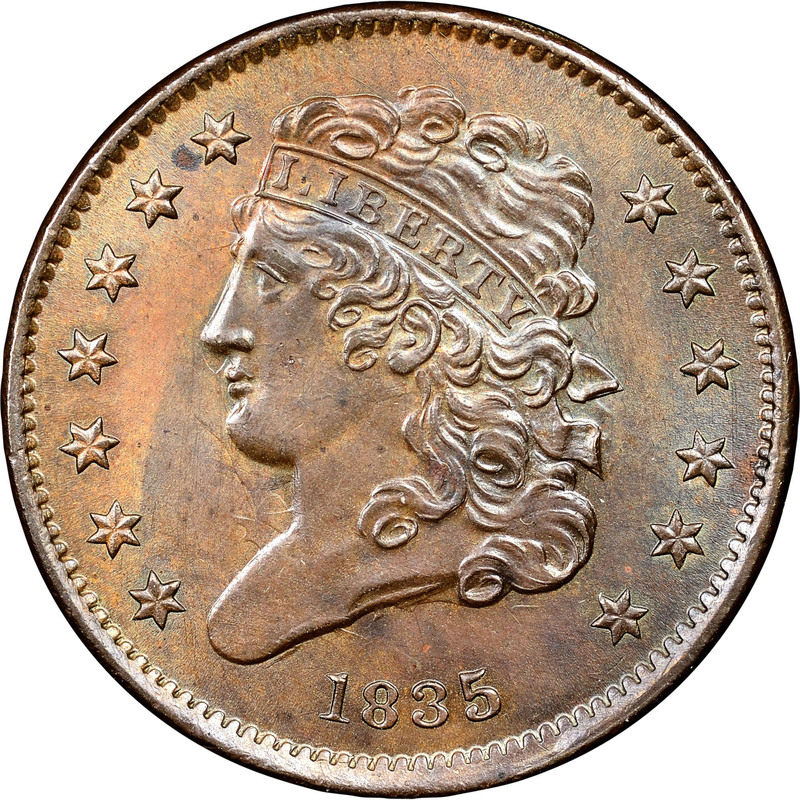 The large reported mintage of 398,000 likely included some dated 1834, as that date is the more common of the two. 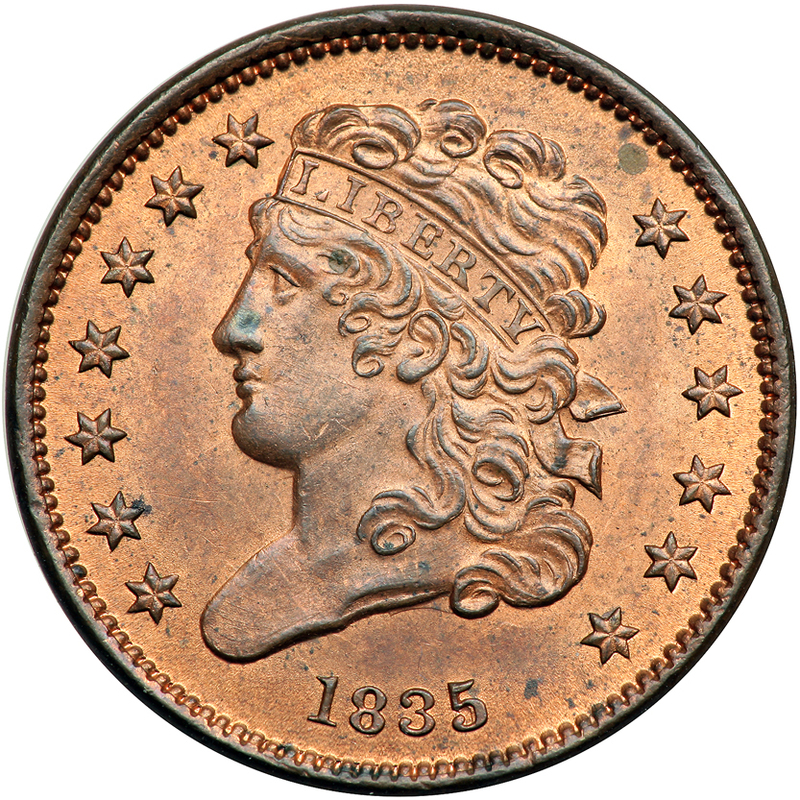 1835 was the last date of half cents coined for circulation until 1849, as there was little demand for this denomination at the time. 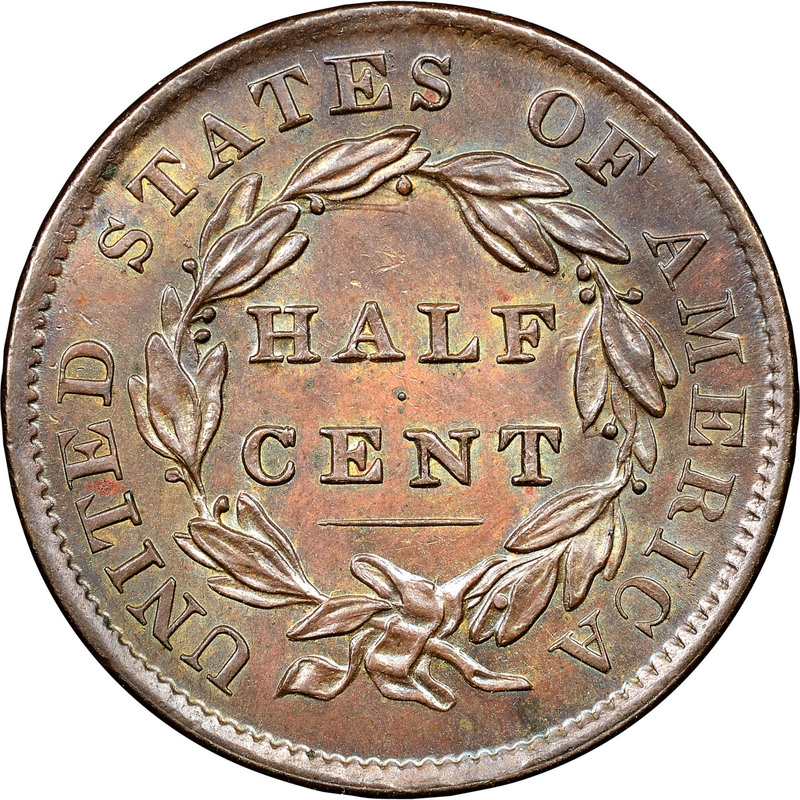 Both C-1 and C-2 are fairly plentiful, with a good number of Mint State survivors from a hoard uncovered by dealer Elmer Sears in 1935. 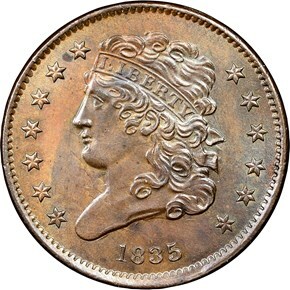 Such coins may be nearly full red or a blend of red and brown, often with spotting or staining from years of storage.